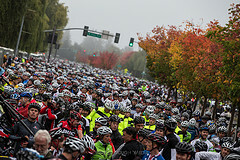 Greenacre Homes & School residents, staff, family and friends along with 7,500 other bike riders took to the streets in Levi's GranFondo bike race on September 29, 2012. 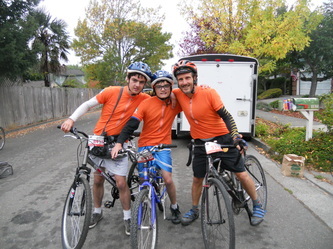 Participants completed either 32, 65 or 100 miles soaking in the valley vineyards, majestic Redwoods and coastal towns. 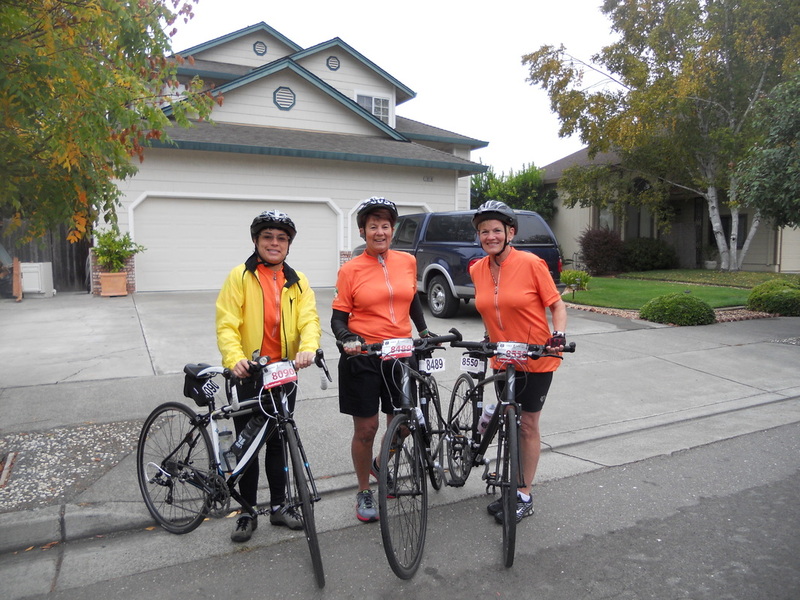 A huge thank you goes out to Carol Rathmann and the Forget Me Not Farm of the Sonoma Humane Society for providing bike jerseys, funds and support to make it possible for Greenacres to participate. 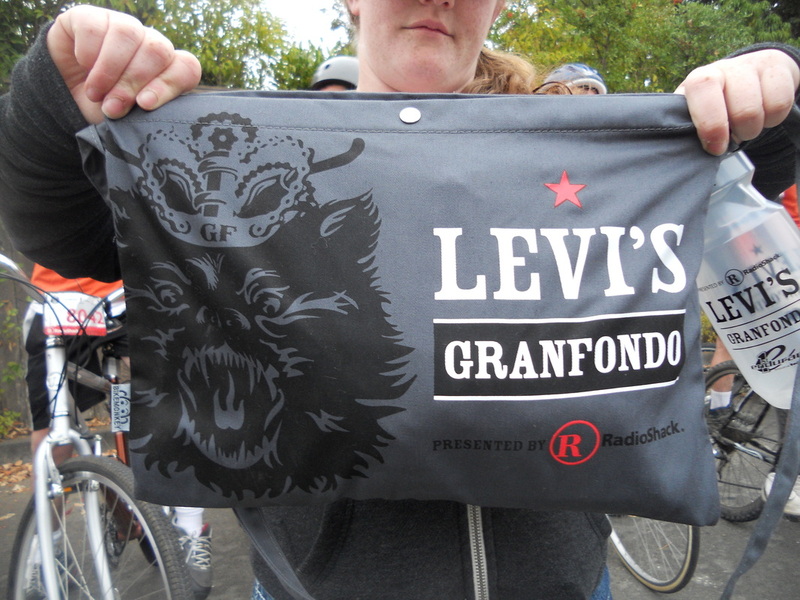 The Levi Leipheimer King Ridge GranFondo could have possibly been just another ride for experienced cyclists like the one the tour is named after, but for 20 Greenacre residents, pedaling amongst 7,000-plus participants in the annual Sonoma County event was nothing short of amazing. 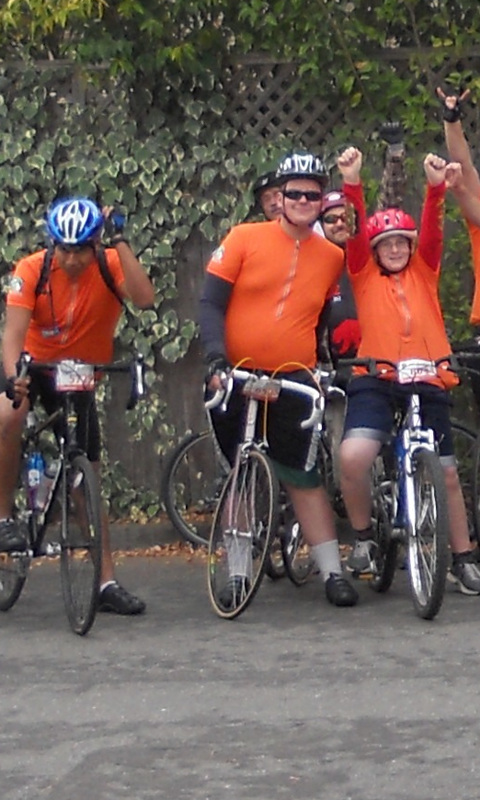 “It was a very cool ride and I would love to do it again next year … maybe even see what it’s like to ride 100 miles,” said 15-year-old Greenacre resident Charlie G., who completed the Piccolo (32 mile route) and said he “felt great” afterwards. “It was a huge and critical outlet for our guys,” said Greenacre Homes and School Social Worker Andy Bunnell. “To my great and delightful surprise we had 30 riders (20 residents and 10 staff) with five additional adults from the Sonoma Humane Society,” Bunnell said. 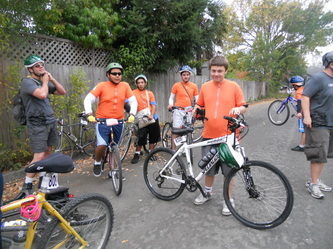 Students in VTS Enterprises, a student run business at Greenacre School, also had the job of getting the bikes ready for the big ride, Bunnell said. 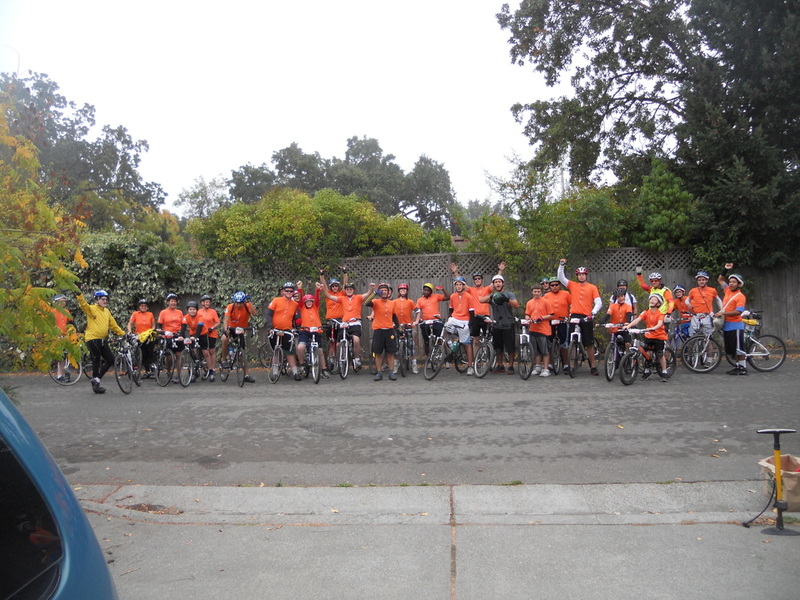 While Sebastopol’s group homes residents – at risk male youth between the ages of 9 and 21 – frequently ride their bikes to, from, and around the campus, the tour was the first organized ride for all but one of them. Twenty-year-old Mark W., who traversed the 65-mile (Medio) route on the GranFondo, also recently completed his first Tour d’Organics century ride. Bunnell credited Forget Me Not Farm Director and Founder Carol Rathmann for putting the wheels in motion. 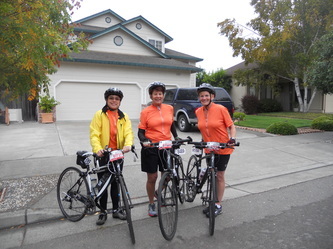 Not only did she suggest the young men participate in the ride, she also made them their jerseys and in order to help them prepare, Rathmann made arrangements for the GranFondo’s lead marshal, John Prouty, to talk to Greenacre residents about how to ride in large groups, Bunnell said. Forget Me Not Farm – a program of the Sonoma Humane Society – is an animal assisted therapy and horticulture project. 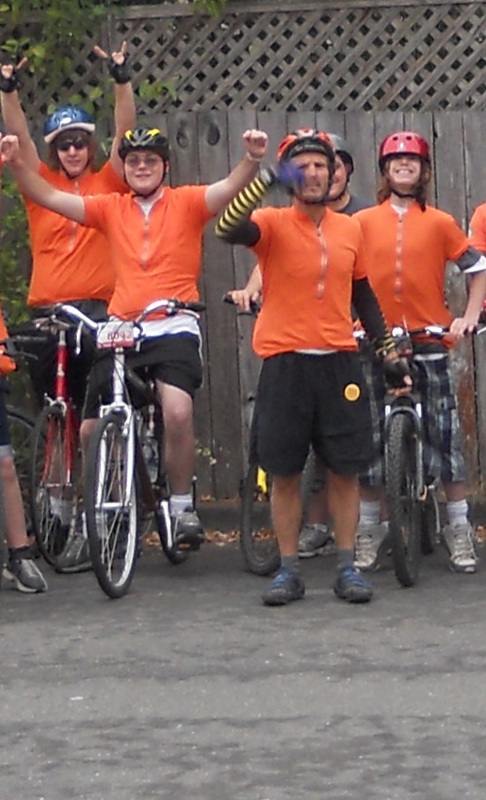 Youth from various agencies routinely visit the farm where they spend time feeding, grooming, and caring for animals, and working in a garden. 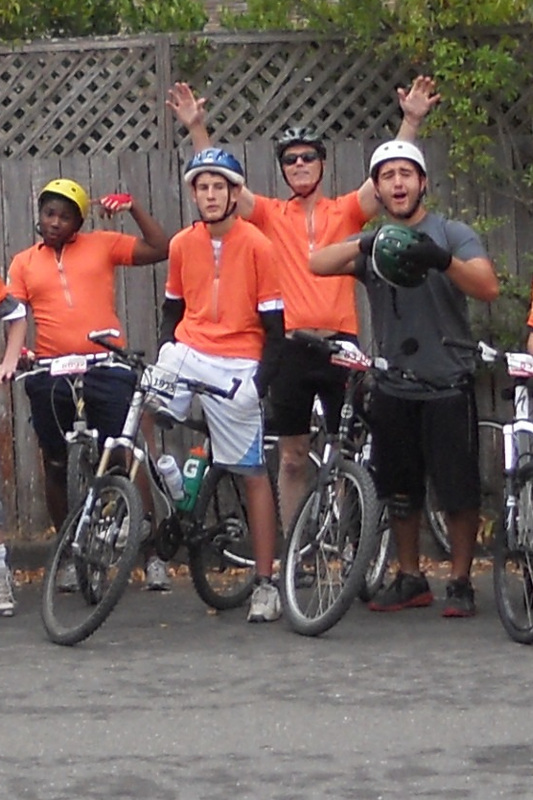 “Some of the boys from Greenacres are in our farm program. 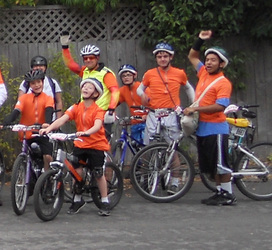 Others are in our mentoring program, which is a vocational program for foster youth. Both programs are geared to teach at-risk youth about the cycle of life, nurturing and caring skills,” Rathmann said. 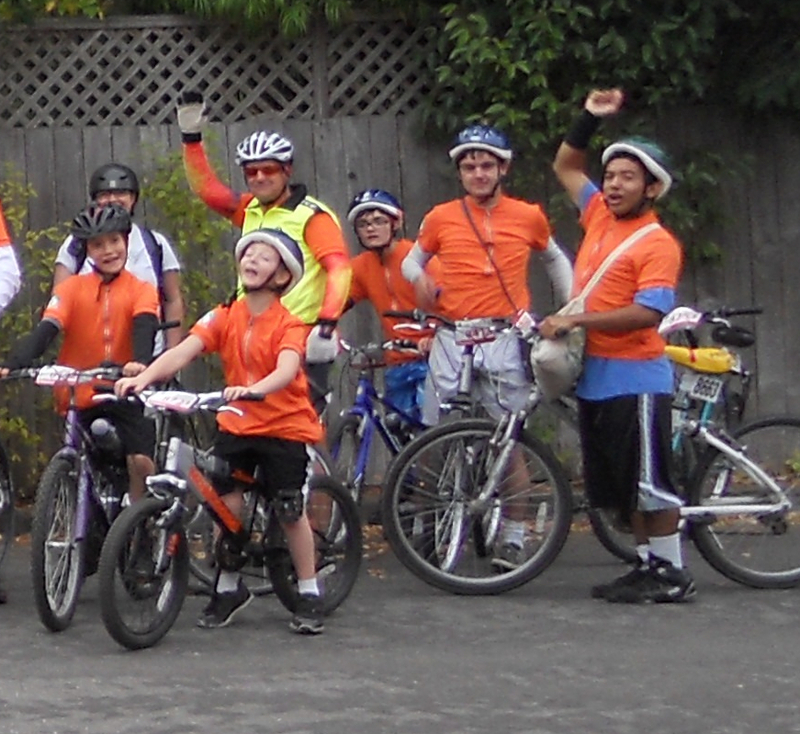 “So many kids in our program have limited access to the out of doors. 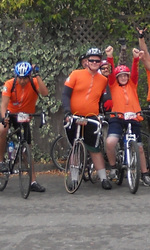 Getting out on a ride like the GranFondo can be an amazing experience for kids who attend Forget Me Not Farm. 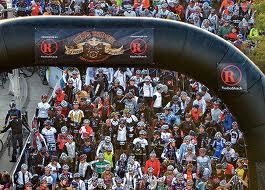 It is just one more way to demonstrate healthy living. 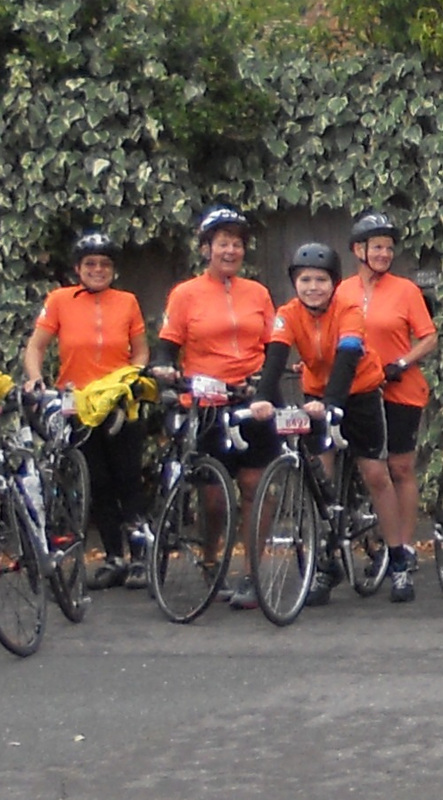 It is also a way for the youth to be involved in a community adventure with a lot of support,” she said. Last year, Velo-Street, the nonprofit group that owns the GranFondo donated almost $80,000 to Forget Me Not Farms, where Leipheimer’s wife Odessa volunteers. 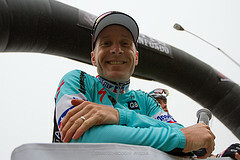 Leipheimer, a Santa Rosa resident, “is known for his podium finishes all over Europe and North America,” said Greg Fisher, editor of Bike Monkey magazine, the producer of GranFondo. 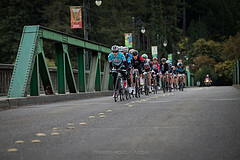 Leipheimer created the King Ridge GranFondo charity ride in 2009 to showcase the challenge and scenery of the county’s roads, Fisher said. 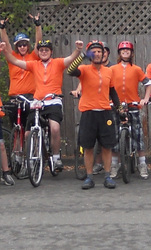 The ride drew 3,500 participants in 2009, 6,000 in 2010, and over 7,000 in 2011 and 2012. 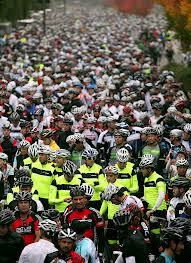 Greenacre residents need more road bikes to participate in the GranFondo and similar rides in the future. Those wishing to donate can call Andy Bunnell at 823-8722.